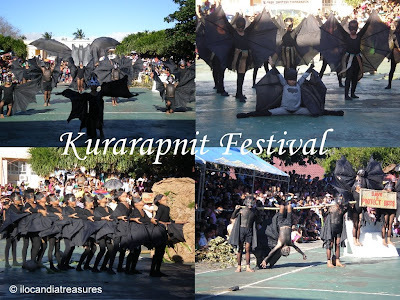 Despite the hectic schedule from work, I was lucky to get the chance to attend and witness the Kurarapnit Festival. It is the newest celebration in the town of Pagudpud in Ilocos Norte. It is on its second year. According to tourism officer Pepe Morata, it was supposed to be held last December but due to an important event they moved to January 20 and coincided with the birthday of Mayor Marlon Sales. A unique festival since most festivals would promote their food products but this time it’s an animal to advocate its preservation and for the protection of the environment in general. 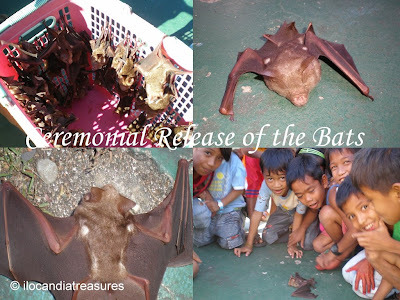 It showcases the flying mammal bats. This is being held to promote the protection of the bats in the town which are endemic or abundant in the caves. There are various caves found in the town however there were only few of them explored such as caves in Saguisi, Pasaleng Bay and the Nabca Cave. Bats are the only mammals that are capable of sustained flight compared to flying squirrel that can only glide for a short while. The bat’s forelimbs are developed as wings. It is believed that bats maintain a healthy environment. About 70% of bats are insectivores while the rest are frugivores and few are carnivores. Insectivores eat about 600 insects a day which the community gets rid of insect related diseases such as malaria. They help in the ecological balance. They have the role in the pollination of flowers and help in the seed dispersal. These are the reasons why they came up with this celebration. The very highlight of the festival was the dance competition. There were eleven dance groups who depicted and portrayed the role of bats in the environment. Pupils of the different elementary schools in the province competed with each other all having the costumes of a bat. Their bodies painted in black, with black wings, suits and masks. They even displayed caves and trees as props. Prior to this, the release of a colony of bats to the air by the mayor and other officials opened up the ceremonies. It was fun to get up close to the bats for the first time and the children were amazed to see them fly out into the air one by one.